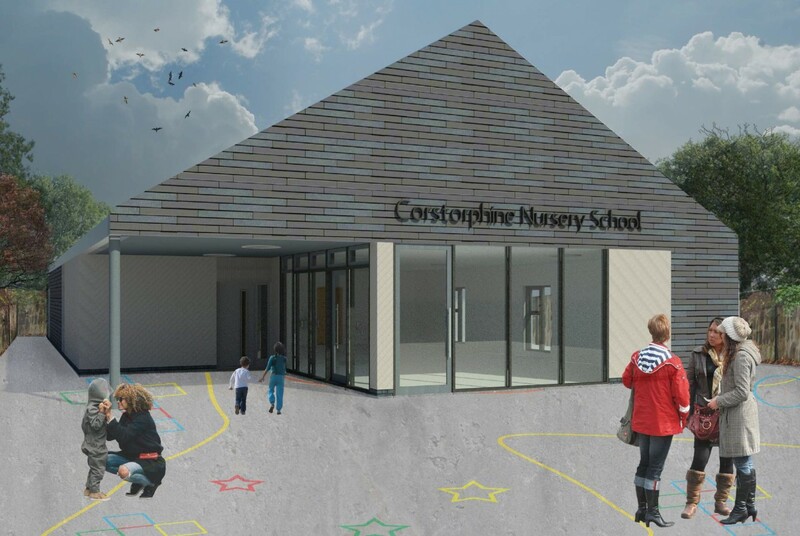 Anderson Bell + Christie have tabled plans to build a stand-alone nursery within the grounds of the recently completed Corstorphine Primary School on the site of existing substandard prefabricated accommodation. Faced with grey and blue fibre cement cladding boards alternating between horizontal and vertical orientation the scheme will sit under a dual pitch roof threaded with sun pipes in a response to its residential context. Outlining their design intent the practice said: “The design is to be kept neutral as possible to blend in with the context. Tones of blue are to run through the facades. Rather than use strong colours the intent is to provide a more refined pallet of materials that focuses more on texture and pattern. 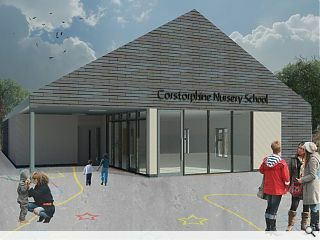 In comparison to Galashiels Primary, this is more like it. - A big hoose. Just the ticket. This seems to be designed from the scale of an adult, rather than that of a child.